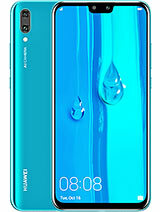 huawei smartphone ascend g300 u8815 is this correct model no? 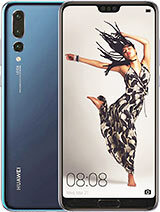 jst got it.. awesome phone , gr8 display gr8 performance.. jst not happy with battery backup..
anu, 10 Nov 2012i am from kuwit, yesterday i saw this model but its bottom side written as dts.what that dts Ascend ...very.nice....dts....ia...sound ..sistem..model....not...mob......dts. Anonymous, 13 Nov 2012I know this phone has very good specs,,and is quite cheap,,my question is,,,,,as a chinese pho... moreI bought this model in August this year and very pleased with it so far. Just downloaded the ICS operating system. bahadur, 11 Nov 2012dts means Digital Theater Systems(http://en.wikipedia.org/wiki/DTS_%28sound_system%29) .This... moreyes mine is dts logo back and cost 9599. this probably for new version set which is corning gorilla glass print in box. Njoy ! I know this phone has very good specs,,and is quite cheap,,my question is,,,,,as a chinese phone,how is the hardware quality ? i`m afraid to buy it and throw it away after 6 months or something. anu, 10 Nov 2012i am from kuwit, yesterday i saw this model but its bottom side written as dts.what that dtsDTS is an audio format developed by Dolby. .This phone has this feature.I have also seen that some Ascend G300 model has this & some not.I don't know why? DG, 08 Nov 2012Hey Jeet, would you please tell me from where you got this phone at Rs. 10,000/- ? Also pleas... moreHey DG I got it from saholic.com the on line store at just Rs.9599 with cash on delivery. its gingerbread 2.3.6. I use it for extensive browsing hd gaming whole day and for talking its near 3,5 hr. so it's handsomely stay a day for 1 charge. and I sugest u stay on gingerbread for this beauty. Very good phone, BUT do not down load ICE CREAM SANDWICH.. IT as so many faults. I am having to take take mine back to Vodaphon to get the software removed. jeet, 06 Nov 2012I receive my lovely g300 and use it last five days. 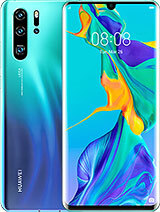 It is very very good phone and also very s... moreHey Jeet, would you please tell me from where you got this phone at Rs. 10,000/- ? Also please tell about talk time it is offering successfully & last question thay gave you with Ice cream sandwich or gingerbread ?? Talk time shown is here is very less. Can any body who is using this master piece tell about actual talk time it is offering ?? I receive my lovely g300 and use it last five days. 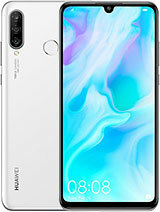 It is very very good phone and also very slim and styles. The big news is it has corning gorilla glass print with its box,manufacture july 2012. The internal storage memory is 756mb while internal sd memory is 2.4gb. I inserted samsung 16gb class 6 card and it's roks! I already downloaded and play some high graphics games like riptide gp reckless gateway asphalt 6 etc which is smooth run without any lag. 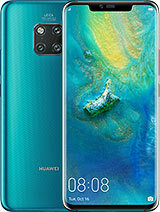 Within 10000 this is the best phone in indian market and I am very proud to have it.